SneINL is Dutch Company which mainly focus on Europe and the United States. The company has developed streaming Usenet clients for multiple platforms which allow you to stream while downloading. 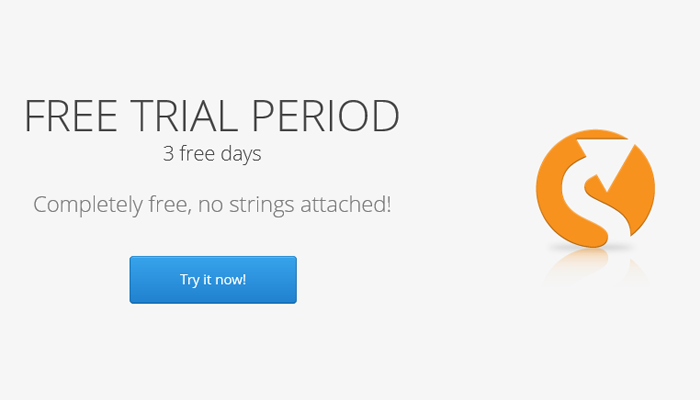 The company also offer free trial period to its users. 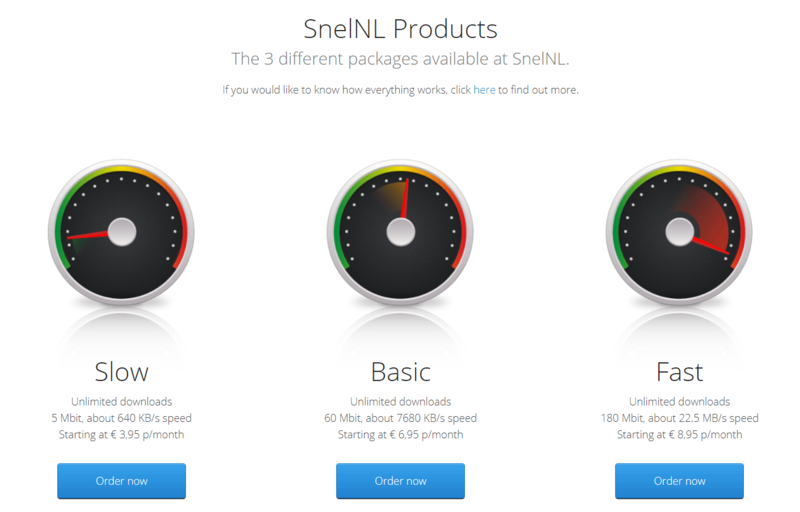 SneINL offers 3 type of packages: Slow, Basic and Fast. Slow Package caters the basic users with the download limit of 640 KB/s. Slow package users will enjoy unlimited downloads and complementary Newsreader which is pre-configured to SneINL. 1 Month subscription is available for 4.95 Euros, while you can enjoy up to 34% discount on a 1-year deal which is available for 47.95 Euros. Basic package caters the moderate users with the speed limit of 7680 KB/s. Basic package holders will get unlimited downloads and pre-configured SneINL Newsreader. Basic Package 1-month subscription will cost you 7.95 Euros per month, while you can save 22% on Annual subscription which will cost you 83.40 Euros. The Fast package is the best SNL can offer. This package offers unlimited download with 22.5 MB/s speed. Fast package one-month subscription is available for 9.95 Euros and an annual subscription is available for 107.40 Euros with 18% discount. SneINL offer 256-bit SSL connections to its users. SSL connections encrypt the data both user-end and server-end to prevent the data manipulation and provide better online security. The company also developed streaming Usenet clients which allow you to stream while downloading. SneINL offer wide range of payment options to its users. SneINL also offers Bitcoin payment options, so if you want to get membership anonymously you can use Bitcoin payment option. SneINL offers 3 days free trial to its users, you can sign up for any package without giving any credit card information. You can sign up by providing your email, name, and country after completing the process you will get your account information at your email address. 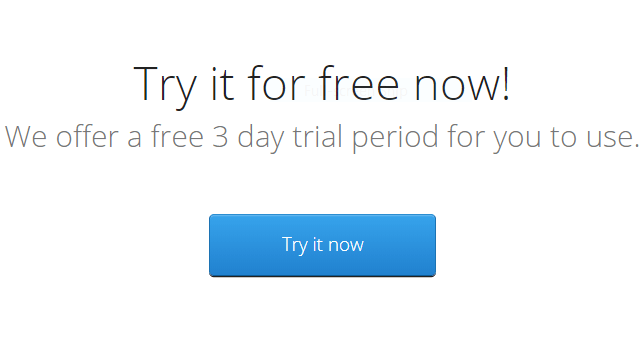 SneINL offers its free software to its users. A newsreader is pre-configured to the SneINL network so all you have to do is to enter your login credential and you are all set to use the software. The software has a very minimalistic user interface and it is best for beginners. SneINL software is available for both Windows and IOS platforms. SneINL doesn’t offer its VPN service however you can use 3rd party free VPNs for online security. SneINL offers 1238 days of binary retention period to its users which is good but when we compare it to its competitor, 1238 days of retention period is not good. The company also offer 99%+ completion rate, in our tests completion rate was good. The company offers up to 180 Mbit connection speed to its fast package holders but in our tests connection speed was not consistent. The number of connections varies from 3-12 for different accounts however in the SneINL software you don’t need to select the number of connections manually, connections are already set up for you but you can also select manually. SneINL website has the dedicated FAQ section which provides answers to common questions. Social media accounts of SneINL are not active since 2011. Customer support is reachable via email. You can contact them through the form available on the website. They will get back to you in 3-5 days. SneINL mainly gears toward the beginners. The company has a very clean website and their Newsreader also has very clean and minimalistic Interface which is best for beginners. The company offers 3 packages which have a decent price but the cost of them is little high when we compare it to our Best Usenet providers. The services you get are also not top notch, we also found that their customer support unresponsive. SneINL’s slow and basic packages are OK but they also come with the limited speed and for high speed, you will have to pay 9.95 Euros which is very high for the services you get. Overall, this company is OK however our list of Best Usenet Providers offer better deals and good value for money so in most cases we would recommend choosing elsewhere.